Don’t delay talking with a professional Conroe Termite and Pest Control Company if you think you need help exterminating pests like termites, cockroaches, ants and mosquitoes you believe you may be annoying or harming your home or place of business. Allied Exterminators and their friendly sales staff are only a phone call away with a solution. Allied Exterminators is a full service pest control company serving Conroe Texas and the Montgomery County areas. We offer solutions to both home and businesses in North Houston Texas with over 50 years of experience. Expert Pest Control and Termite Extermination. If you haven’t started your regular prevention pest control. Call us today! We have the lowest prices in town and her to serve our customers!!! Do you want to be ant free all summer? Call Allied Exterminators at (936) 247-2282 for Quality Pest Control Today! Critter Removal – Do you have unwanted pest in your attic or walls? 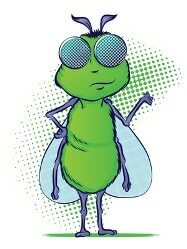 We specialize in Animal Removal and Wildlife Pest Control. Get Rid of Mice – This time of year is when rodents like mice and rats seek shelter in places like your home or business. We can stop them. Save your home from rodents: Allied is your Rat, Mouse, & Rodent Control & Removal Specialist. Ant Control Solutions – rid your property of infestations with the help of your local Allied Exterminators team. Spraying for Mosquitoes – Take back control of your yard this summer with our monthly mosquito spraying for outdoor mosquito control. Squirrel Removal Solutions – Allied Exterminators are ready to get rid of Squirrels in your attic. Animal Trapping Services for Squirrels, Possums, Raccoon and Armadillos in the Montgomery County, Magnolia and Conroe areas. 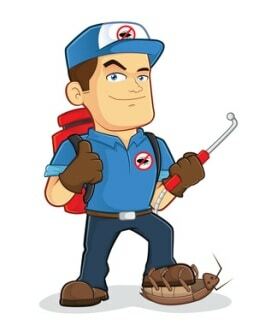 Our exceptional quality of work and high regard for customer service are the reasons we have been the top pest control company in the area for over 50 years. We pride ourselves on offering our customers the Best Prices in Town and Same Day Service. Our highly trained and courteous technicians can tackle the toughest pest control problems of our Residential, Restaurants, Industrial, and Commercial accounts. Call Now to Remove Pest and Rodents. (936) 247-2282.